Ritu Sekar is a Journalist who is hailing from the state of Andhra Pradesh. She is a straightforward bold girl. 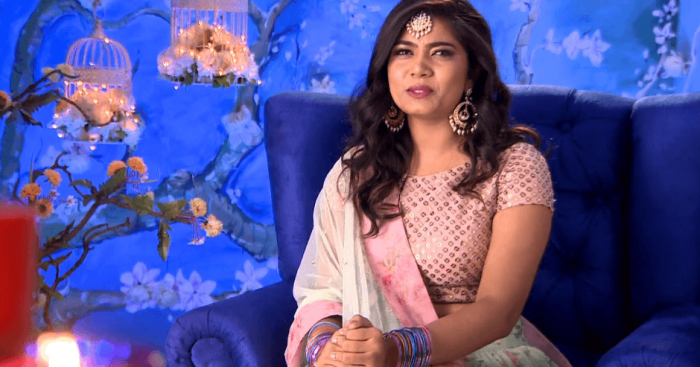 Ritu Sekar (Ritu Choudhary) applied online for the matchmaking contest and undergone few auditions to get shortlisted to be a part of 14 girl squad. Further details about Ritu Sekar will be updated soon. Ritu Sekar entered in a Traditional attire. After shaking hands with Pradeep, She stopped him from talking and made him see her eyes for 5 seconds. She also mentioned that it is called “Love at First Sight”. 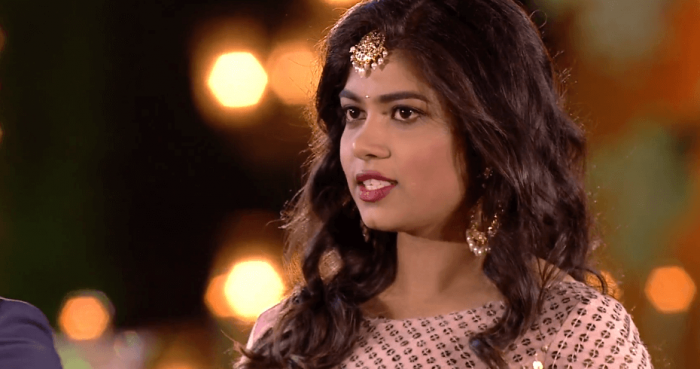 She already came with a mind that she will win the show and marry Pradeep. She gifted him a perfume which impressed Pradeep.